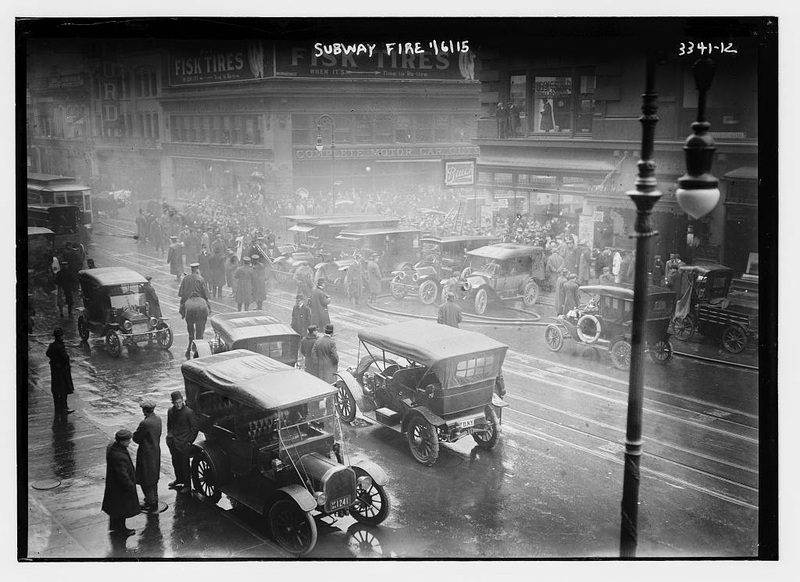 On January 6, 1915, a seemingly minor incident under the streets of Midtown caused a terrible panic, “the worst disaster in the history of the New York subway” up to that date, injuring hundreds of commuters and killing one. 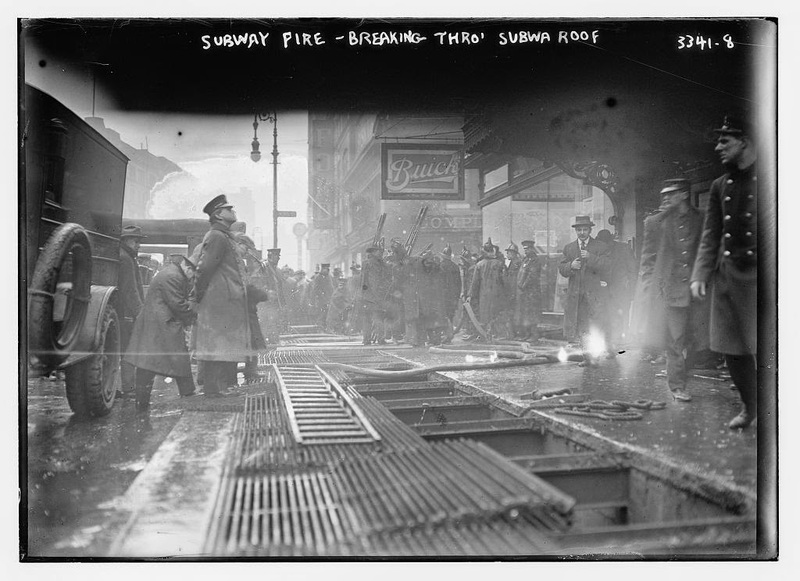 That morning, two electrical cables feeding into manholes at Broadway and 52nd Street suddenly shorted out, causing a blackout in the subway tunnels below. The cable insulation, not fireproof, began issuing masses of “dense acrid” smoke that soon filled the tunnels. The event occurred at the start of rush hour so there where three trains between 50th Street and Columbus Circle that were immediately affected. 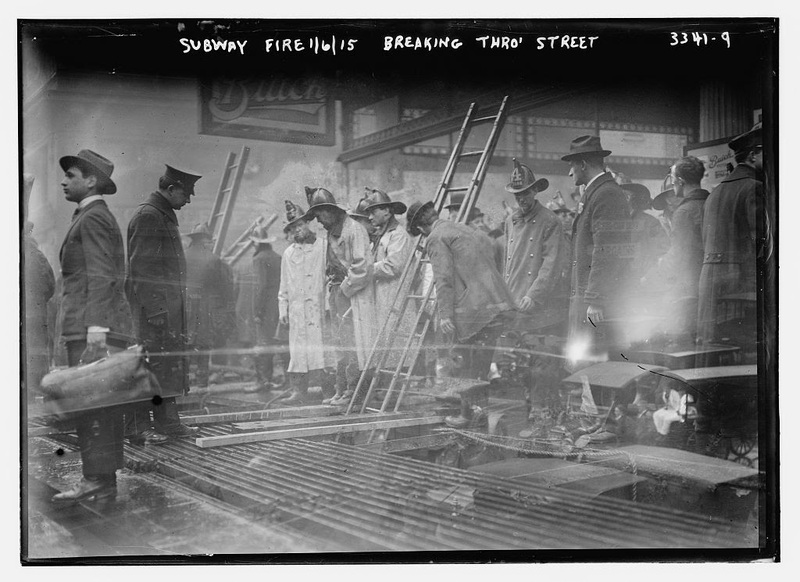 Over 2,500 people were trapped in the subway cars or stuck inside suddenly dark stations. Nothing but the wires was actually on fire. But the billowing, toxic smoke in darkened tunnels soon caused a panic as passengers began clawing for the doors, trampling the weak underfoot. 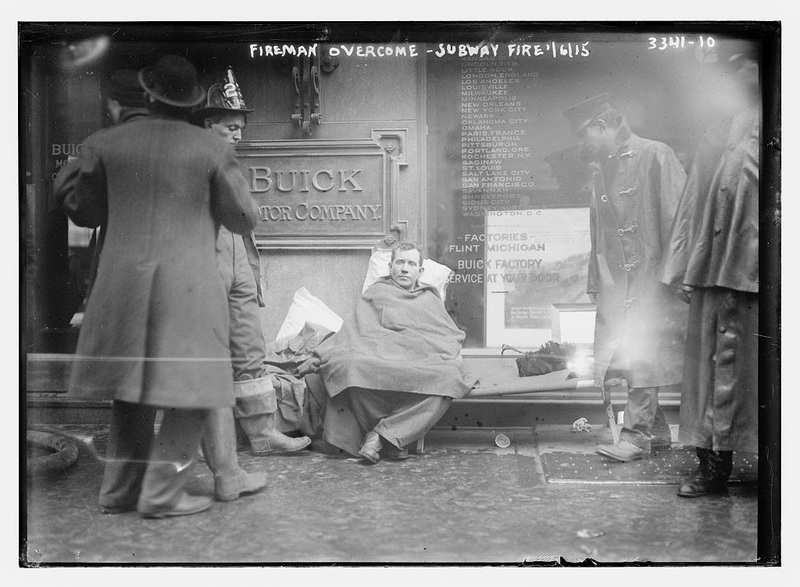 Hundreds were sent to the hospital with various injuries, mostly smoke inhalation, but many from the horrors of being trampled underfoot. Unfortunately, one woman was killed in the incident. Firefighters had few options in rescuing passengers. Most were delivered up ladders along a small passage at 55th Street. 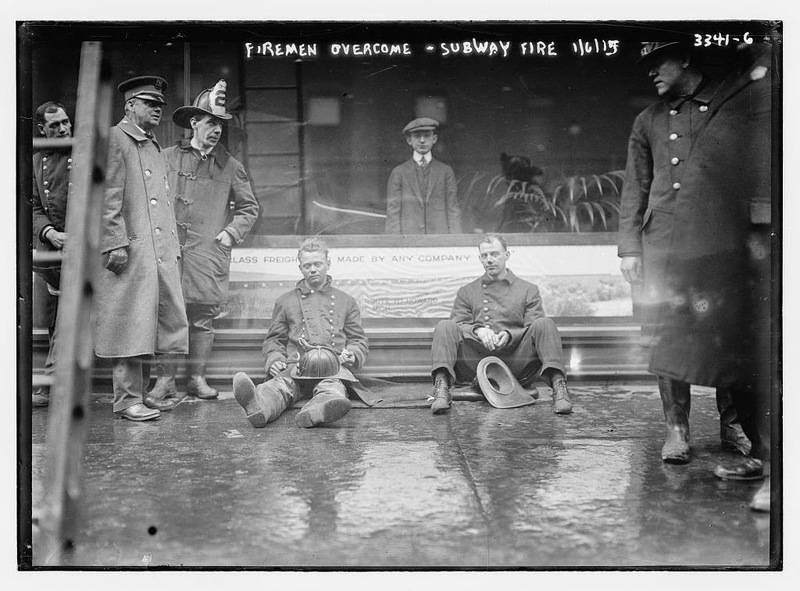 The air was so toxic that many firemen were themselves hospitalized. Subway service was naturally disrupted for a few a days afterwards. Officials initially shrugged off the incident. “In the present state of the art,” said Frank Hedley, general manager of the Interborough Rapid Transit, “there is nothing known which will prevent the recurrence of short circuits.” However, attention soon turned to woefully inadequate insulation used in subway wiring. 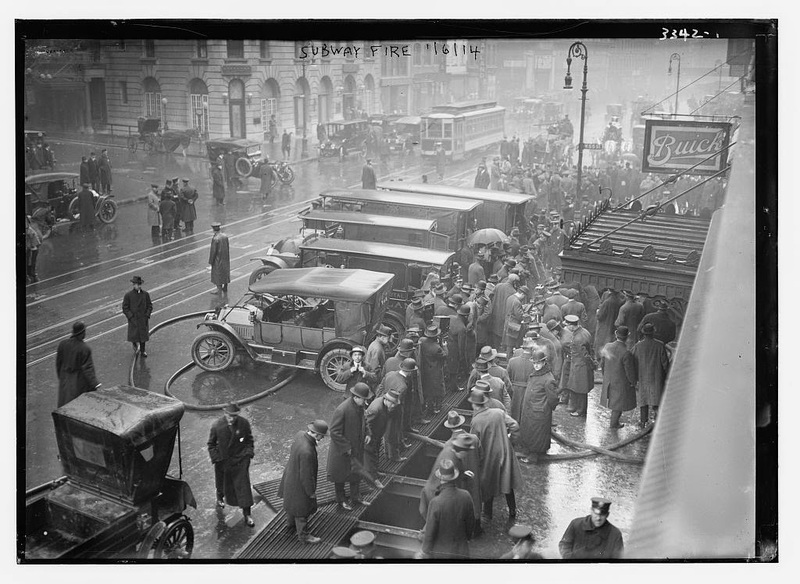 Redesigned subway cars and fireproof wiring would soon ensure such a disaster would not occur again.